........ can you name them all? So fun. I think I can name all four, though I'm not confident with the third. Is it St. Patrick? are you going to sell? You AMAZE me. Lovely! I think I have them figured out. I'd love to know what you do with them/where you keep them. 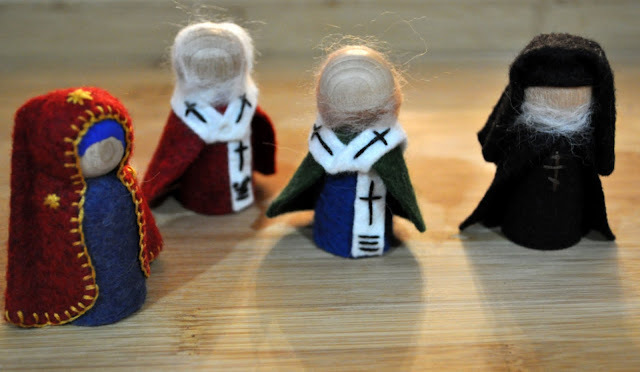 I would definitely buy a set of saint dolls if you were selling them.